Philly (Homepage) wrote: What a joy to find someone else who tkhins this way. Andy (Homepage) wrote: Beautiful wood tones! Love the contrast with the snow. joshi daniel (Homepage) wrote: loved the falling of the light! Frida (Homepage) wrote: beautiful contrast between warm and cold colors. Celine (Homepage) wrote: Beautiful shot ! great light and colors ! beanow (Homepage) wrote: Beautiful composition and brown tones here. John Maslowski (Homepage) wrote: The wood tones are absolutely beautiful in this image. 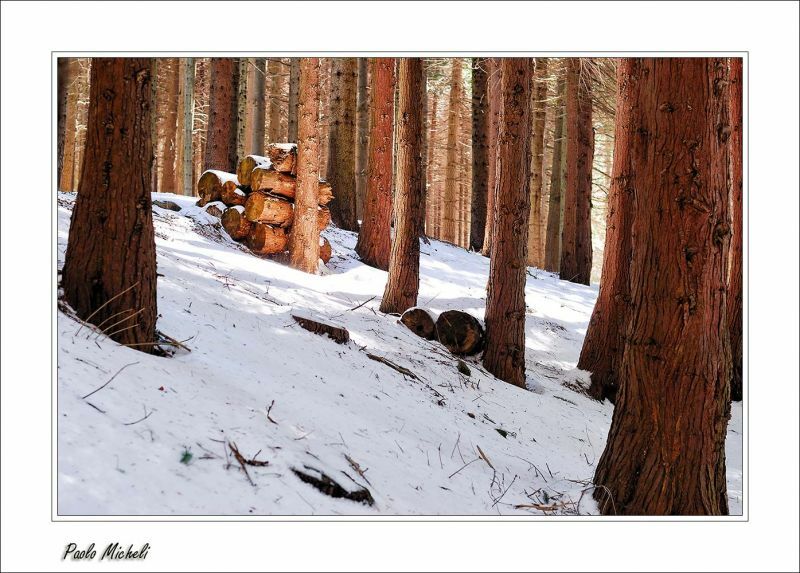 Stunning winter landscape with the snow contrasting with these lovely trees. sherri (Homepage) wrote: Aptly named. The sunlight is gorgeous. Marcie (Homepage) wrote: Wonderful contrast of warm and cool colors. Love the never-ending trunks of trees. Beautiful winter scene!